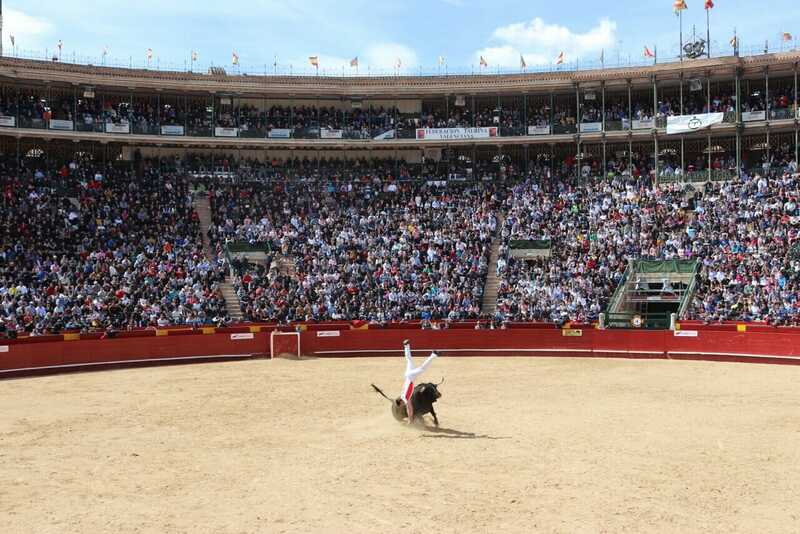 Bullfighting is one of the most well-known and controversial Spanish traditions. I’ve been to many cities in Spain and some in the South of Portugal, where bullfighting is also popular, but have never watched it before, even though I’ve always wanted to be in a Plaza de Toro at least once in my life. Bull worship and sacrifices were common in Mesopotamia and the Mediterranean in ancient times. A fresco dating from 1500 BC, at Knossos in Crete shows a so-called “bull-leaping”, where male and female acrobats confront a bull by grabbing its horns and leaping on his back. In pre-historic Spain bulls played an important role in religious ceremonies but it was the Greeks and Romans who converted the ceremonies into competitions that quickly became famous. During the Roman Empire, these competitions spread across Europe, Africa and Asia, but it was in the Iberian Peninsula where it was fully developed into the sport we know today. The first bullfights in Spain were done on horseback and were reserved for aristocrats who could afford to supply and train their animals. However, King Felipe Vended this trend and prohibited noblemen from practicing the bloody sport, but by this time it had already become popular amongst commoners, one of whom, Francisco Romero, was the first to use a muleta, a stick with a red cloth hanging from it and an estoc, a type of sword, to kill the bull. Bullfighting is a very polemic subject! On one side there are tauromachy lovers, “los aficionados” who claim that bullfighting is a form of art important to their culture, and on the other are the animal protectors who think that bullfighting is a primitive and cruel practice and it should be banned. In a typical bullfight, three matadors, each with an assistant, kill six bulls. Every encounter lasts about 15min and the whole event around three – four hours. According to CAS International, a major anti-bullfighting group, it’s estimated that over 250,000 bulls, cows and calves worldwide are abused and slain every year. This is a huge number and I believe that most people do not know that so many animals are killed in order to keep this tradition alive. While visiting Valencia during the Fallas Festival this year, I noticed among the events held in the city, there were some bullfights being advertised. It was then that I wondered if I should finally satisfy my morbid curiosity. Then a Spanish friend recommended that I see “Los Recortes”, a style of bullfighting common in the 19th century and practiced in Navarre, La Rioja, north of Castile and Valencia, where the bulls aren’t injured but returned to their pen at the end of the presentation. Performers are also dressed in common street clothes and attempt to evade the bull through the swiftness of their reactions. 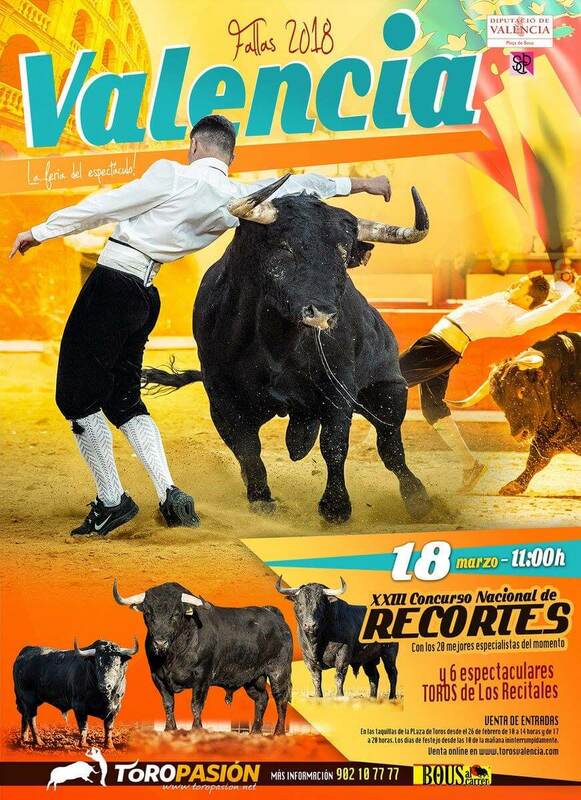 I thought that it would be acceptable, so got my ticket to see the Final of the Concurso Nacional de Recortes on 18th of March at Plaza de Toros de Valencia. 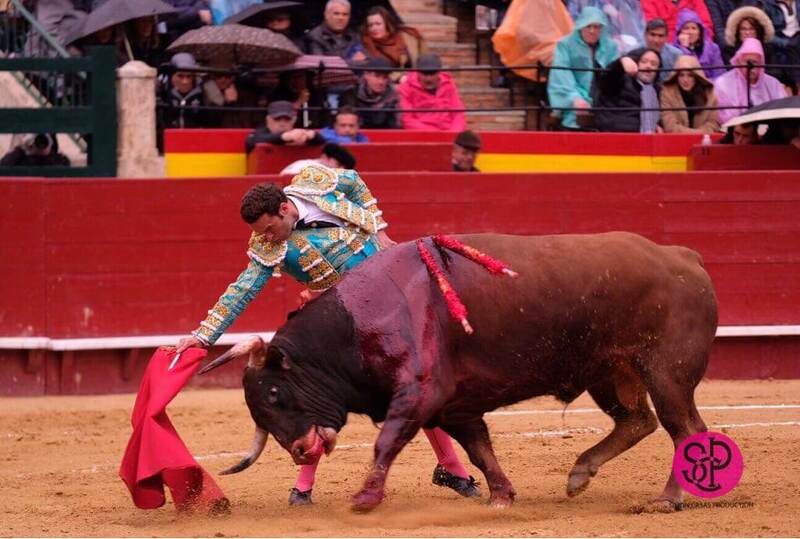 When I was going to buy my ticket at Plaza de Toros’s box office, I saw graffiti’d on a matador statue in front of the arena: “Eso no es cultura es tortura” (It’s not culture it’s torture). I was quite surprised to see this protest right in front of the bullring entrance. 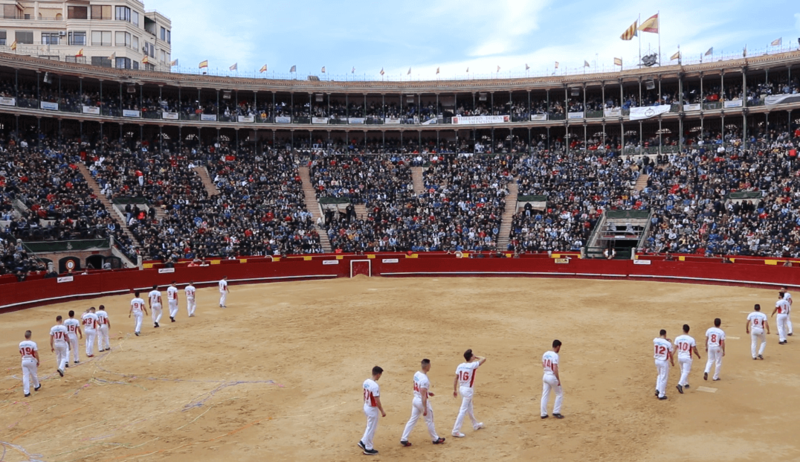 I must confess I was really excited by the time I got to the Plaza de Toros de Valencia, a bullring built between 1850 and 1860 with a capacity of 10,500. Even though the event was scheduled for 11:00 when I got there at 10:00, it was already almost full. And, despite polls showing that young people are losing interest and the sport is most popular among the over 45s, there were many young people watching and taking part. While groups of friends were sharing bread and jamón and others were holding seats for their families and friends, I was trying to find a place with a great view to take some good pictures. It was a very pleasant sunny day with blue skies and exactly at 11 o’clock, the spectacle started. First, people on horses, then, the introduction of the 20 best young and brave recortadores in Spain. The 20 best young and brave recortadores in Spain entering the bullring. When they opened the gate, the first bull was released into the ring to the clamor and applause of the audience. The over 400kg animal looked completely disoriented and was running from one place to another and hitting the wood protection furiously when the assistants behind it moved their red cloths. The 20 recortadores were divided in five different groups with only the best passing on to the next phase. Each one of them had to face the bull several times and was judge by their audaciousness and skill in avoiding the animals. 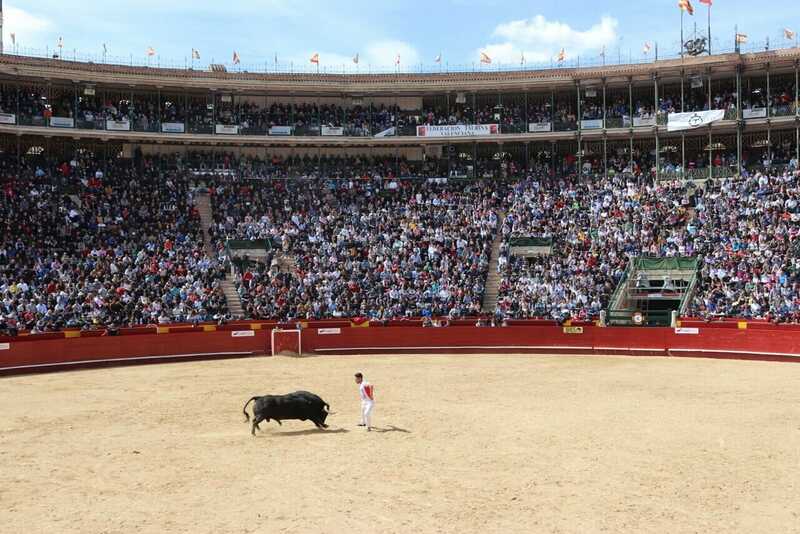 The first recortador placed himself in the middle of the ring. 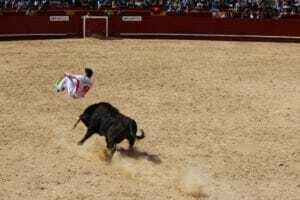 The bull charged towards him as he feinted to the left before swiftly and precisely moving to the right at the last minute, avoiding being gored. I was in awe and extremely tense. It requires too much courage and indeed technique to challenge a bull. This time I felt sorry for the performers. They were so young, the youngest being only 20, had families and kids, and were there, putting their lives at risk. The injured guy left the competition and I thought about leaving the Plaza, yet my morbid curiosity kept me there. What’s going to happen next? Will someone else try to jump over the bull and succeed? Will I get a good picture or a “viral” footage? That day, two recortadores were injured. One was the previous year’s winner, who miraculously didn’t suffer severe injuries and got the second prize, whilst the other guy was taken to hospital. It’s so impressing how this guy didn’t have major injuries. Yet the spectacle was entertaining with competitors doing different performances, sometimes challenging the bulls on their knees, or with a hand in a pocket (to limit their movement), or getting very close to the animals before dodging away at the last minute, etc. In every single presentation there’s a high level of tension and courage because you just don’t know what’s going to happen. 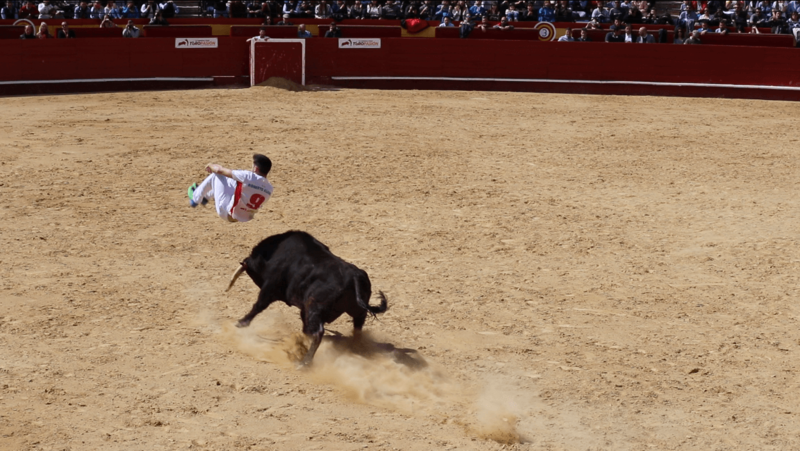 A “recortador” jumping over a bull. People have different professions and countries have different cultures. Formula 1 pilots, UFC fighters and firefighters also risk their lives constantly. I know it’s different but what moves a person towards those professions is the same: their passion. And the fact is, whether some traditions may seem nonsensical, stupid or brutal, we should not judge it but show respect instead. Whether you think that bullfights should continue or be banned, there will still be countries where it is permitted. And it’s your decision to watch it or not. Encountering different cultures and traditions while traveling opens our minds, hearts, and make us a different people. The more of the world you see, the more you learn about it and about yourself. So, be bold and stay curious. And most importantly: don’t judge people by their traditions. You can visit Valencia all year round, but if you want to see the Fallas Festival you must go between 15th and 19th of March. If you want to save some money during your stay in Valencia, buy the Valencia Tourist card. With this card you travel for free on buses, metros and trams and get free entry to municipal museums and monuments. The cheapest card, the 24h one, cost €15. Just the metro from the airport to the city center costs €4,5 (roundtrip €9). I came across your post in the Lonely Planet Pathfinders round-up and was intrigued by the article’s title! Thanks for sharing your experience, perspective, and the history, which I did not know much about at all. 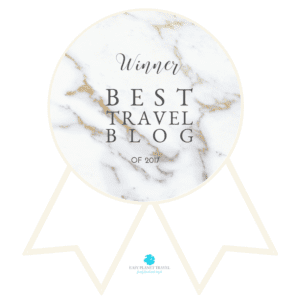 Safe and happy travels! 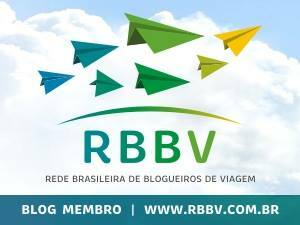 – Larissa B.
I’m really glad to hear from you an that you understood my approach. Safe travels and all the best sweetie.